One of Southbank's grandest proposals which was submitted during the peak of Melbourne's skyscraper run of 2014, and which garnered substantial media attention, has been heavily modified to meet concerns raised by planning authorities. Even with a considerable reduction in height and apartment yield, 334-344 City Road has found no favour in a report to the Future Melbourne (Planning) Committee which was tabled earlier this month. Prepared by City of Melbourne's Planning Coordinator, the report urges Melbourne City Council to officially object 334-344 City Road to state body Department of Environment, Land, Water and Planning (or whatever they may be called this month). 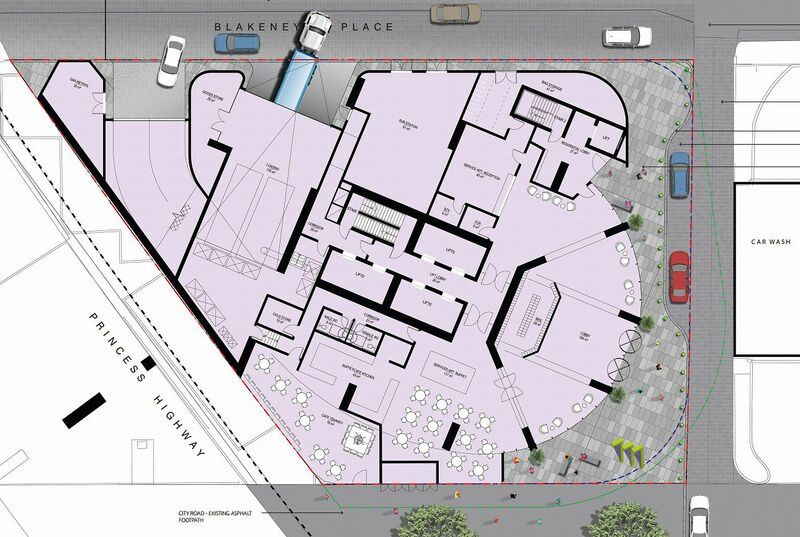 Amended plans were submitted during November 2014 in order to address concerns focusing around excessive height, ground level layout, traffic flow and overall tower form. While the subject site is a suitable candidate for redevelopment, there are a number of significant issues with the current proposal that must be resolved prior to the granting of a permit. The development by virtue of its height, setbacks and subsequent bulky building form is considered to overwhelm and dominate the City Road Street environs. Although higher built form can be found in Southbank it is concentrated west of Moore Street where the Melbourne Planning Scheme guides that this form of development is most appropriate. 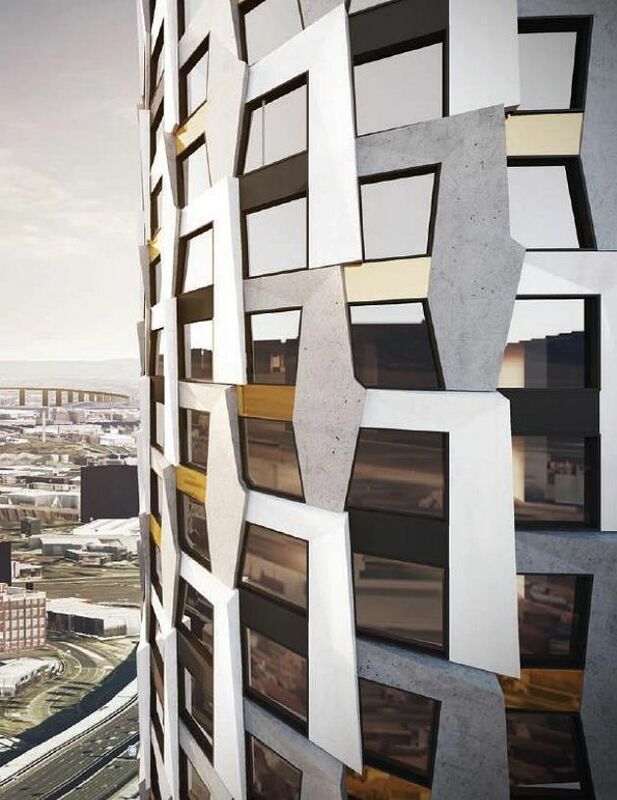 The lack of variation in the built form and architectural expression (including the lack of variation in tower shape), also increases the perceived three dimensional massing of the building and contributes to the visual impact of the building. The applicant has also failed to undertake a cumulative assessment of the traffic impact of the development on the local road networks and it is considered that the proposal will impact on the safety and operational capacity of City Road and Clarendon Street, in the vicinity of the site. Buildings that provide an appropriate transition to development in adjoining Areas to the south, west and east. Buildings that do not dominate urban form in adjoining Areas. The maintenance of the dominant streetscape scale. The report asserts that in addition to excessive height, the above three objectives are not met. The fact that other buildings may have been approved at heights over the 100m preferred height of Area 3, and the fact there are other buildings higher in other Areas with higher preferred heights, should not be an argument for such a proposal of extraordinary height variance. The intent of the height control in Area 3 is for the control of building heights in Area 3. The proposed building height can only be considered in relation to the area it is within, not to other areas. Why has the report to the Future Melbourne (Planning) Committee not referenced towers to the east of 334-344 City Raod? Even in the face of multiple towers being approved at immense heights in the immediate vicinity, City of Melbourne still maintain a stoic resistance to any structure over the nominal height. Between 80-160 metres directly east are three towers that most people would think set a reasonable precedent for build form height around 334-344 City Road. BPM's Shadow Play tower at 320 City Road looks set to rise 61 levels with its marketing campaign imminent, while directly opposite Crone Partners have prepared a 280 metre residential tower for 295 City Road and Elysium at 244 metres holds approval. City of Melbourne considers 334-344 City Road to be a proposal of extraordinary height variance on a site specific basis, yet a quick glimpse toward its neighbours suggests it's anything but. The selective nature of the report prepared in assessing 334-344 City Road should be queried. Nonetheless an interesting outcome on a state level looms which may well act as a precedent should ​334-344 City Road gain approval. I fail to understand the thinking behind some of the CoM decisions. It's purely political ideologists influencing these decisions - it's utterly ridiculous. The developers should just ignore them and go straight to the planning minister while he/she still has the ultimate say. Would be surprised if the new Minister would be keen to come over the top when the ALP were so disparaging of Matthew Guy's 'exploitation' of the same powers while in opposition. I know it's a long shot but it's worth a shot. CoM basically stating yet again right here anything Central Equity style mid-rise and bland is OK while anything high-rise and striking and bold goes against their beliefs. 'Striking and bold' are not criteria in the planning scheme, though. The report to the future Melbourne Committee states that, "The proposal fails to achieve short term stationary wind conditions along City Road and fails to satisfy the requirements of DDO1 (requirement for active street frontages)". Perhaps if it met these objectives, it's 'striking' design would be able to be built in this location? Nope. If CoM want a particular design outcome, let them buy the block, design this thing, then sell the block caveated to that design or hire the builder and sell under construction. If they make a loss on such a deal, the ratepayers of CoM will see for themselves what some particular councillors' aesthetic prejudices are actually doing to ratepayers' hip pockets. And then use the next election to send them to Hades. CoM must not be allowed to 'slam the stable door' on the last couple of major City Rd sites after the other horses have long since bolted. If despite CoM's worst efforts, other sites have been approved higher than the earlier preference in some planning document, there is no point trying to victimise the few remaining to achieve a Pyrrhic victory. The developer bought a site with a clear set of height and massing guidelines - how can anyone be up in arms when the council sticks to their own policy? Because their policy is laughable. Savoy overshadow .. the 'Denser than Hong Kong' hysteria .. approving rubbish such as Cnr Bourke & Collins in Docklands .. it is stifling the growth of this city rewarding bland and discouraging difference. Why are you so defensive of them ? You sound like one of theirs & The Age's mouthpieces .. I wasn't making a comment about the quality of their policies - merely that those policies exist and are known to developers and buyers before a property is purchased, as is the overall planning framework. So, those same developers can't complain when the property they have purchased, subject to certain planning conditions, is deemed unsuitable as a site for their fantastic proposals. And as far as the 'Denser than Hong Kong' comment - yes, our city planning at present allows for 4x greater density than Hong Kong or New York and is delivering it at certain sites - that's just a fact. New Yorkers would laugh at our naïve and underdone planning policies - they have hundreds of years' experience with dense residential urban centres - we have about 20 years at most in Melbourne. If you were a citizen of city x, and you could choose Melburnians or New Yorkers to plan your dense urban centre, who would you trust to get the density and setback issues right?